This is a typical two tone, average quality repair and paint request. 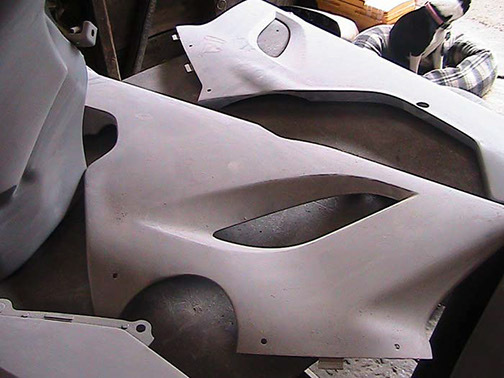 The customer provided two broken upper fairings which we fused into one complete panel. Other than a small dent in the fuel tank the damage on the body was minor. This particular job took about 10 days from start to finish as we gave each stage plenty of curing time before progressing to the next.